I’m baaack…from Japan! It was the most fantastic whirlwind. We visited 8 cities and walked an average of 10 miles a day gathering all the experiences we could manage. I am a very lucky girl. Something I read described Japan as a place where you can get out of your comfort zone without ever feeling uncomfortable. It is the perfect description because, although the culture and customs in Japan are very different, it abounds with modern conveniences (public bathrooms everywhere you look, most with self-warming seats (but few with soap or towels)), and the vast majority of people we met were kind and welcoming. 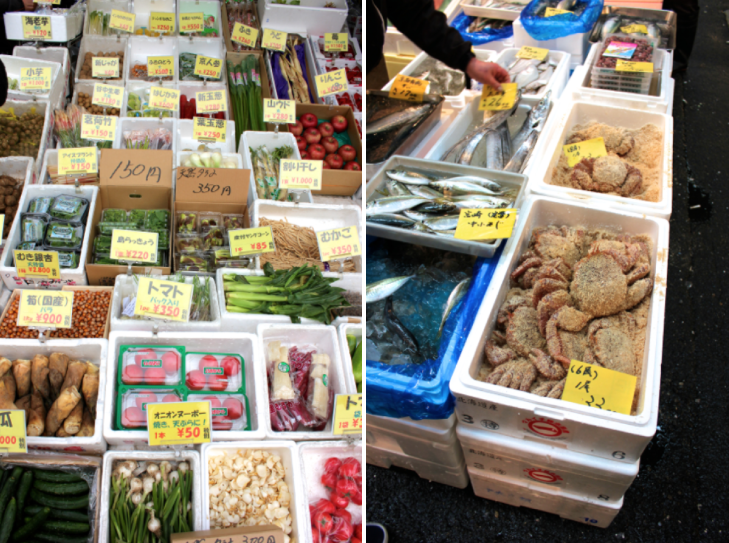 We began our trip in Tokyo, where the Tsukiji fish market blew us away. 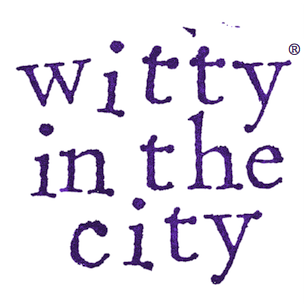 It is a densely packed, sprawling area filled with wholesale fish, fruit, and vegetable stalls. The fish section was most impressive because of the sheer number of species, both living and recently dead, on display. 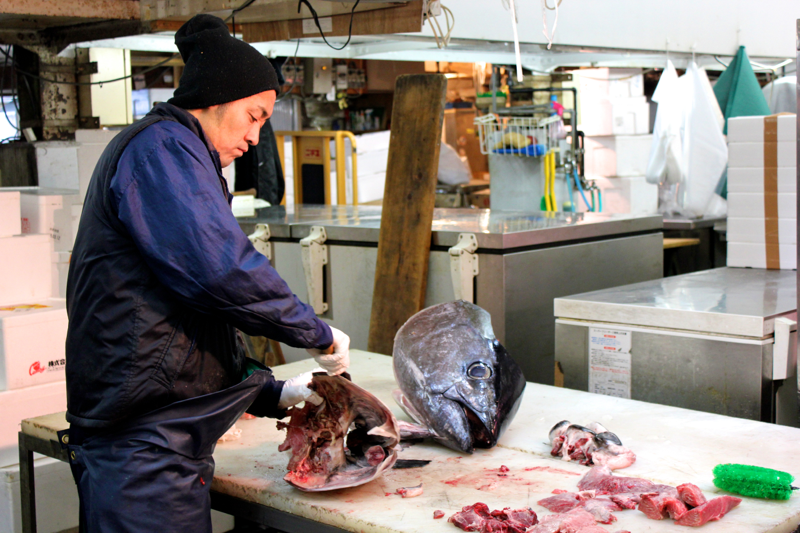 The market is most famous for tuna, and we saw plenty of workers breaking it down into smaller cuts. This guy was breaking down a whole fish into large filets, weighing them, and wrapping them up in paper. 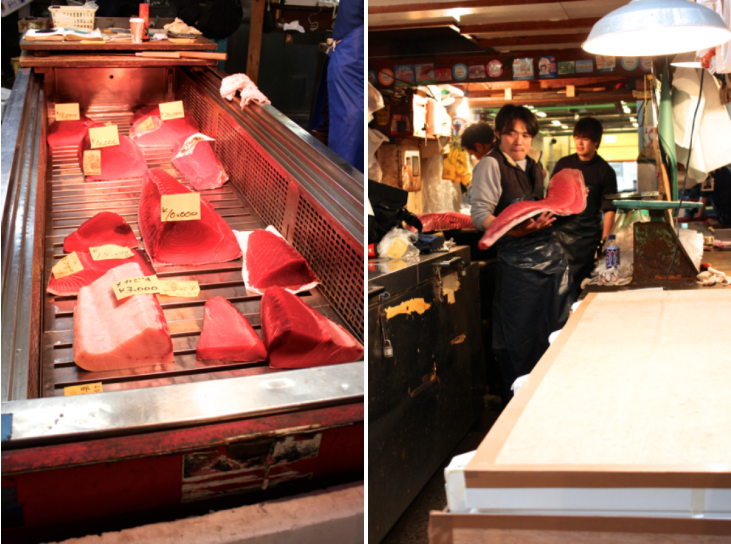 The pieces of tuna for sale were also quite large and vibrantly colored, like glowing red jewels. The wholesale portion of the fish market was architecturally beautiful, with cobblestone walkways and a soaring roof with skylights. 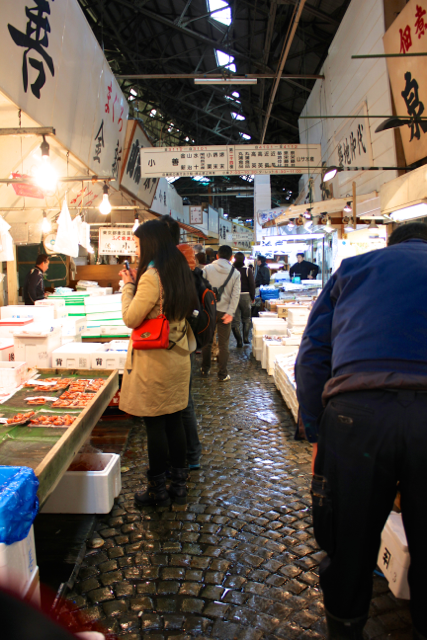 Despite the size, the market was darkish, wet, and absolutely bustling with workers. I really can’t believe that they allow tourists into the market. It’s very easy to get run over or doused with fish guts. Don’t wear open-toed shoes! Although the tourists were clearly in the workers’ way, they were never rude and seemed to appreciate people admiring their goods. My sincere awe drew some chuckles. The market featured much more than tuna. Every sea creature imaginable was for sale, and the vast quantity of carnage eventually got depressing. These crabs were alive and crawling around in their own…breadcrumbs! On a happier note, the vegetables for sale were immaculate. Every piece of produce was unblemished and perfectly ripe. If only I had access to a kitchen! So basically, if you’re in Tokyo, eat sushi. It’s amazing. Tokyo offers much more than seafood, however. 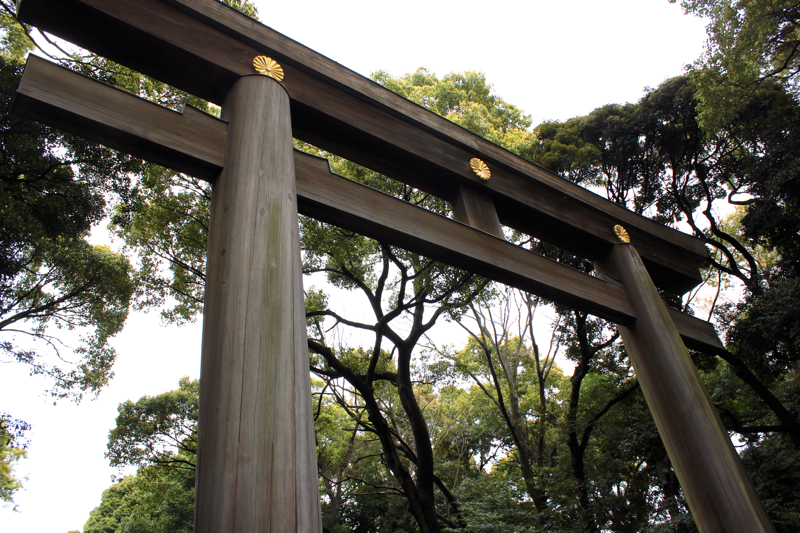 The Meiji Shrine is a peaceful, wooded escape from the bustle of the city. 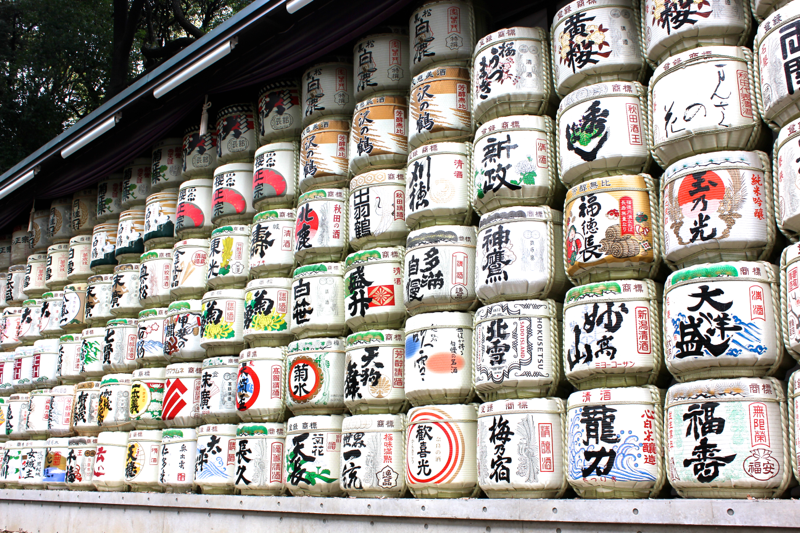 The entrance to the shrine features a wall of artfully decorated sake, which is mirrored on the other side with…barrels of French wine(?). 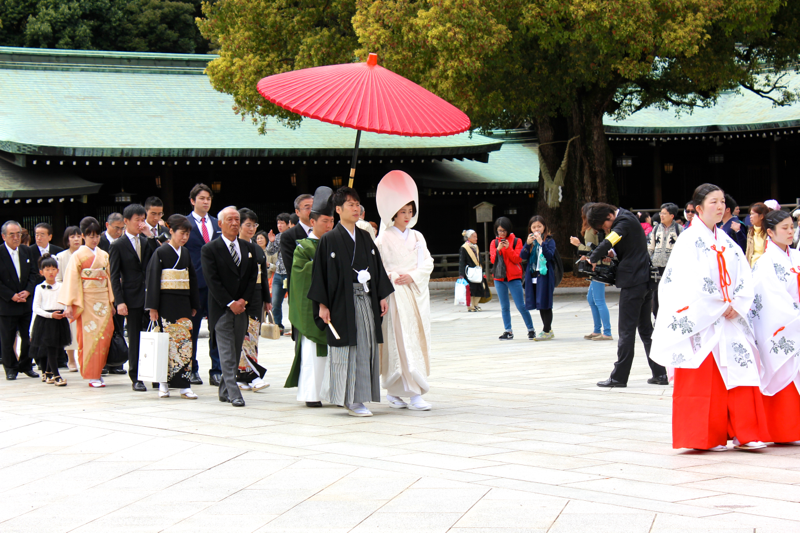 We saw a few traditional weddings taking place at the shrine, which were fascinating. The bride and groom led a procession to the ceremony area and were followed by their very well-dressed families. We had hoped to experience Japan’s cherry blossoms in full bloom, but we sadly arrived after they had already peaked. Some still lingered around for our enjoyment. Outside of Tokyo, hot pink cherry blossoms were in bloom (not pictured), which were much more vibrant than the variety we enjoy in DC. The gardens in Tokyo were also incredible. 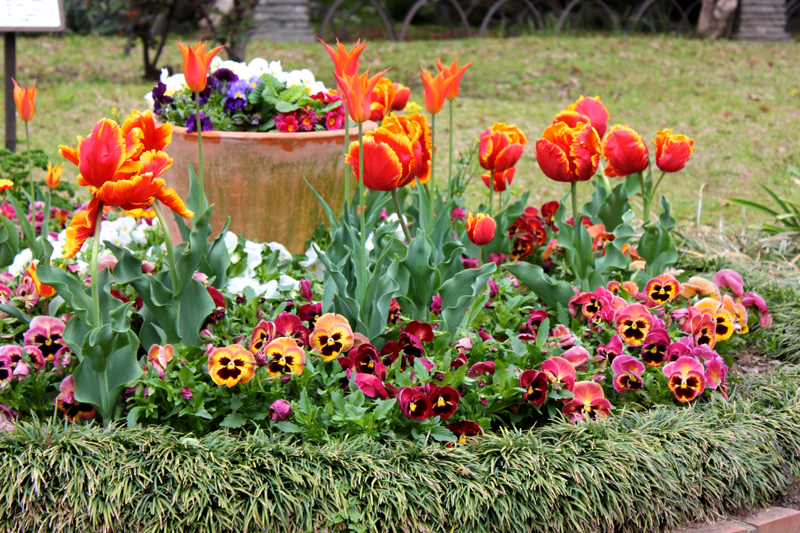 We stumbled upon this one near the Imperial Palace that featured a bunch of tulip varieties and even colorful poppies, which I don’t think I had ever seen in person before! The bustle of the city was also quite enjoyable, and livable, but navigating through throngs of people in Tokyo can be stressful. Most of the sidewalks are divided by a raised yellow partition that pedestrian traffic is supposed to follow, but doesn’t. Staircases are also marked up and down, but people don’t always follow those signs either. I felt like I was always in the way (it’s nice to be home where I can safely drift to the right). 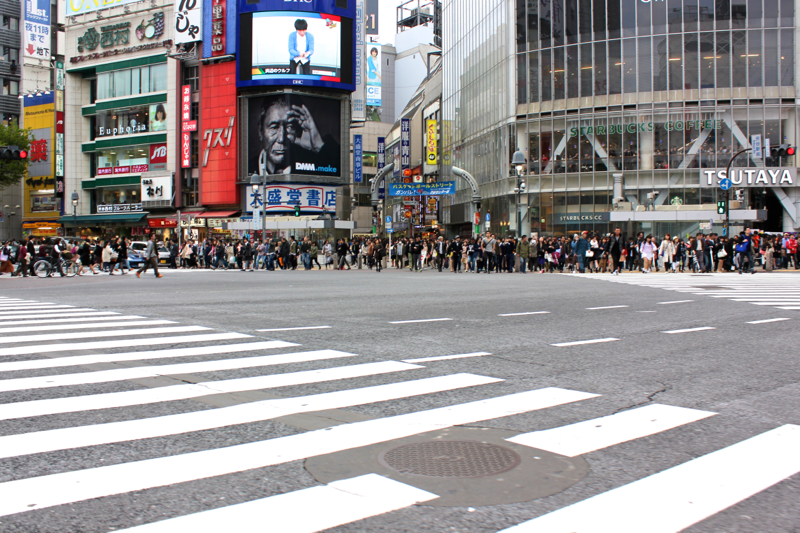 But when crossing the massive intersection in Shibuya, there are no rules. When the walk light turns green, everyone from every side converges, and the street is swarmed with a sea of bobbing heads. We crossed a few times just for fun. 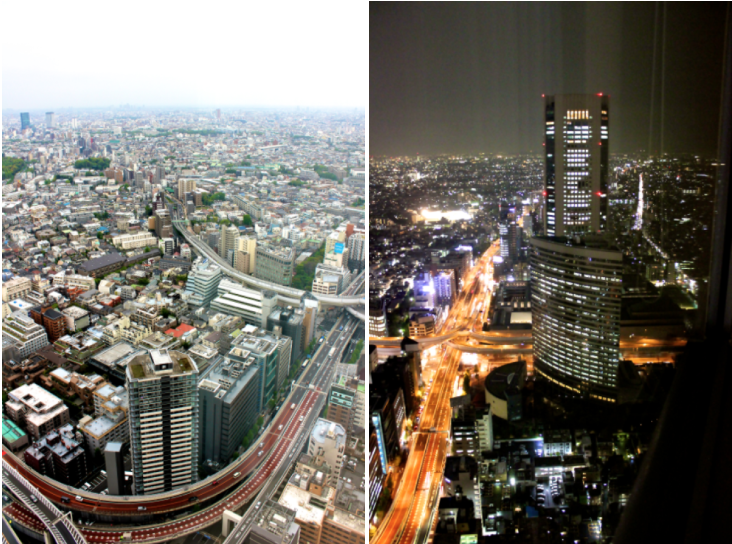 Here are a few more glamour shots of Tokyo to dream about. I really can’t wait to share the rest of our trip with you. If you’re planning a trip to Japan, japan-guide.com was the best planning resource I had. 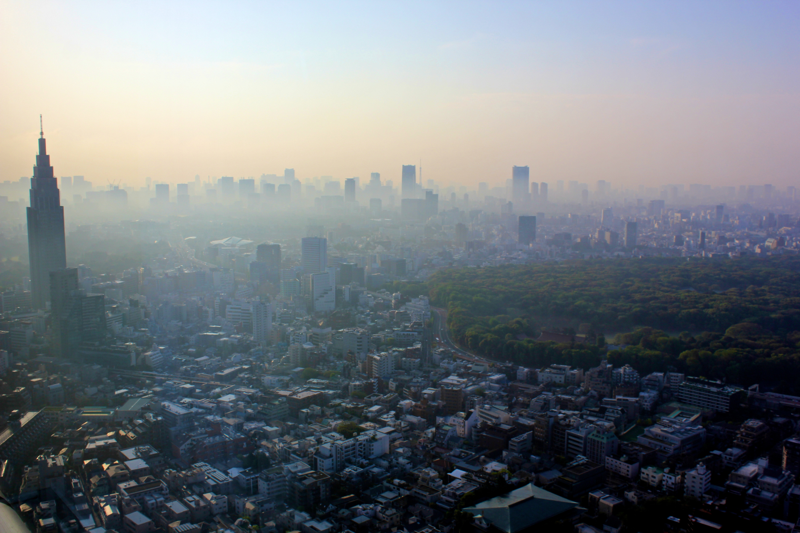 There is so much more to say about Tokyo, but I’m out of breath for now– share your observations or questions in the comments! U would make here if it is available? I ate a lot more raw fish than ever before, and it was fantastic. A hot drink brewed with roasted soybeans was interesting, but not for me. I brought back a few ingredients that I can’t wait to cook with! I wish fresh wasabi root was available here– it’s so cute! When you catch your breath, please do go on about your adventures in Japan. I am so anxious to hear more. It’s probably the closest I’ll get to it!